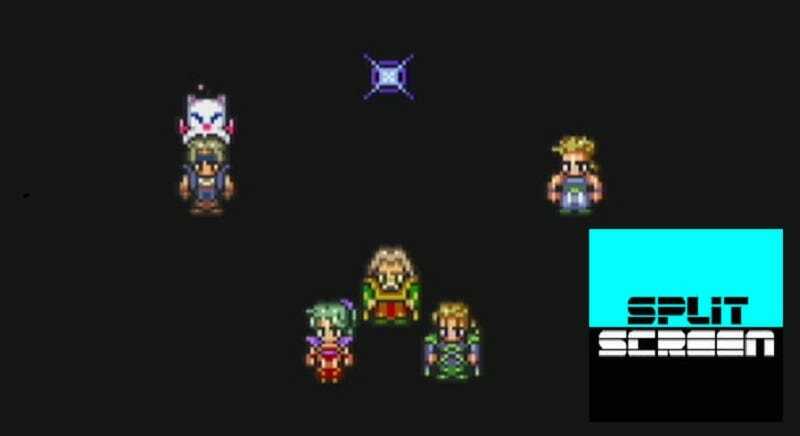 What’s it like to speedrun huge role-playing games like Final Fantasy VI and Chrono Trigger? What kind of tricks are people still discovering? Today on Kotaku Splitscreen, we talk to a speedrunner to find out. First, Kirk and I talk about news of the week (14:35) on Cyberpunk 2077, Overwatch League, and the elusive Nintendo Direct. Then I talk to prolific speedrunner puwexil (31:00) about what it’s like to speedrun massive RPGs, how he discovers glitches, and why he started speedrunning. Finally, Kirk rejoins the show (1:00:43) to talk about Warframe, The Division, and what I should play on my brand new PC. Jason: So when you’re running a game like Final Fantasy VI, I assume at this point people have found the most optimal routes. Do you think there’s still room for improving those routes and shaving off more time? Are you still actively discovering tricks? Puwexil: I think there pretty much always is, especially for a longer and deeper game like Final Fantasy VI. I think there realistically is a point where actually continuing to save time on the run without making it incompletable because you’re just taking on too much risk is a thing, but I think in most cases there’s just minor things to find to save time. For non-glitchless categories too, there’s always new glitch discoveries. I mean, people have been speedrunning Final Fantasy VI for 10 to 15 years or more, at least over the internet, but there was actually a really big glitch discovered just last year that pretty much lets you skip all the final dungeon. Puwexil: It’s a glitch that involves the Tent item in the game, which is an item that you normally just use either on the overworld or when you’re standing on a save point to heal your characters’ health and magic, but it was actually discovered that you can abuse a glitch in how the Tent is programmed to warp your characters around on the map of Kefka’s Tower, the final dungeon. It would take a couple minutes to fully explain the setup and how everything works, but the short version is that by setting up your three parties for the Tower in the right way, getting one of them to a save point and then doing party swaps between the three parties and using Tents in the right order, you can warp all three of them to the end and then start the final fight with Kefka without having to fight and of the minibosses in the Tower or anything. Jason: That’s so cool. So have you discovered any crazy glitches or tricks in Chrono Trigger over the years? Puwexil: Yeah, definitely. Probably the biggest glitch discovery in Chrono Trigger was maybe 2015, a glitch called Lavos shell skip. It’s actually similar to the Tent glitch I just talked about, where you’re abusing some bugs in the programming for how the warp tiles in the End of Time area in Chrono Trigger work, in order to send you to 1999AD which is where the final battle happens, but send you to a different spot on the map than you’re intended to go, which lets you skip the 20-ish-minute fight with Lavos’s shell that normally happens there. But unlike the Tent glitch, the Lavos skip is actually really really really difficult to do, because it’s a total of four what we call frame-perfect inputs which is where you have to press inputs on your controller to the accuracy of 1/60th of a second, which is the frame-rate for a Super Nintendo game. So even after the glitch was discovered, it took a while for people to discover how to actually do it in real time on a Super Nintendo console.